In special reports, this week’s files cover: Pope’s Message about Celestials, National Day of Prayer, Roswell Alien Slides Revealed In Mexico City, General Vladimir Kovalyonok saw UFO, UFO near ISS, Moon Contrail, Was Corn, Wheat and Rice a Gift from Celestials? and UFO Crash at St Augustin. Unidentified Aerial Phenomena sightings were reported over: California, Florida, Georgia, Illinois, Missouri, New Jersey, Ohio, Oklahoma, Oregon, South Carolina, Texas, Vermont, Virginia, Washington and West Virginia. Sightings of UFOs were also reported in: Argentina, Australia, Belize, Canada, Columbia, Greece, Ireland, Mexico, and in England and Scotland in the United Kingdom. Last Friday, at our friend, Pattie’s house, I sat with Travis Walton, my wife, and several others watching the premier of the Hangar 1 TV show “UFOs at War” on the History Channel. I had a part in the show and it was watched by over a million people. The next exciting “Hangar 1” TV Show called “Star People” will be on History Channel, Friday night, May 8, 2015, at 10 PM EST and PST. Pope Francis is recognizing other intelligent beings in the universe. The Vatican is one of best intelligence agencies on Earth and is well aware of alien presence. Pope Francis is the most likely leader in the world to release information that we are being visited by Celestials and the return of Jesus Christ is near. The pope visits the United States later this year to address climate change and speak at the UN and meet President Obama and the Congress. He is likely to release astounding secrets. ISIS claims two attackers were their soldiers who opened fire with assault rifles outside a contest for Prophet Mohammed cartoons in Texas. An alert security officer who is also a policeman was able to kill the attackers who wore body armor and declared loyalty to ISIS. We think their strategy was to get into the event center, and they were not able to get past our perimeter that we had set up. Frankly, it appears with the threat of financial debt, terrorism, natural disasters, drugs, bird and human disease, and riots that the US and its allies are in for a rough ride in the future. The US has enemies who are rapidly gaining strength. The country has overturned many of its moral principles that have put us in a position of weakness. Even Russia claims to have gained the moral high ground. A new volcanic eruption is now confirmed to be taking place off the West Coast of the United States. The new undersea volcanic activity is occurring approximately 300 miles off the shores of Central Oregon, along the Axial Seamount, where a fresh fissure has formed, producing new undersea lava flows, and seismic activity. The tuetonic p;ates are moving signalling posible earthquakes and volcanic eruptions on the along the West coast in California, and Nevada. The US and the world needs your prayers. Toronto [ZNN] Authenticated slides from the crash near Roswell of an alien body were revealed on May 5, 2015 in Mexico City on the Jaime Maussan TV show. Tom Carey and Donald Schmidt unfolded this dramatic event. Because of how these slides were obtained, the event organizers remain convinced there is a high expectation that government officials will be unable to deny the authenticity of the slides. Former Apollo 14 astronaut and Roswell native Dr. Edgar Mitchell and Richard M. Dolan were major contributors to this event. A number of experts, who’d spent months carefully analyzing the two slides. The slides were authenticated to be from the 1940s, and were from the collection of Hilda Ray, a now deceased attorney who allegedly took the photos. Jaime Maussan told me last fall these were authentic slides. Note: I have not seen any report on the show on National TV News. Many cosmonauts have seen phenomena which are far beyond the experiences of earthmen. For ten years I never spoke on such things. The encounter you asked me about happened on May 5, 1981, at about 6 PM, during the Saljut Mission. At that time we were over the area of South Africa, moving towards the area of the Indian Ocean. I just made some gymnastic exercises, when I saw in front of me, through a porthole, an object which I could not explain. It is impossible to determine distances in Space. A small object can appear large and far away and the other way around. Sometimes a cloud of dust appears like a large object. Anyway, I saw this object and then something happened I could not explain something impossible according to the laws of Physics. The object had this shape, elliptical, and flew with us. From a frontal view it looked like it would rotate in flight direction. This UFO is the same UFO that was recorded at the space station on April 24th. It looks like this object either visits often or is nearby following the ISS. Streetcap1 of YouTube recorded it and this time it’s much clearer and much closer. NASA notices it slowly and then zooms in on the UFO, but it is unclear if NASA went to blue screen afterwards or if the feed just was cut off. I notice something weird on the Apollo Moon photo. I would like to send you back that linked photo with some annotations made by me for your appreciation. There is a contrail like smoke trail over the surface of the Moon near the UFO you showed last week. Below the contrail there is a parallel shadow showing it is airborne. We are told there is no atmosphere on the Moon but there is low fog like clouds on many photos. Many people call these the Dark Knight Satellites, maybe they are, but regardless…they are UFOs. They are of alien construction. New York City — The weather was clear and a seasonable 43 degrees on 12-13 April, the night in 1879 when UFO ‘Mothership’ as they have come to be called, was seen over. The glowing circular shaped object was observed by Jersey City, NJ Astronomer Mr. Henry Harrison. 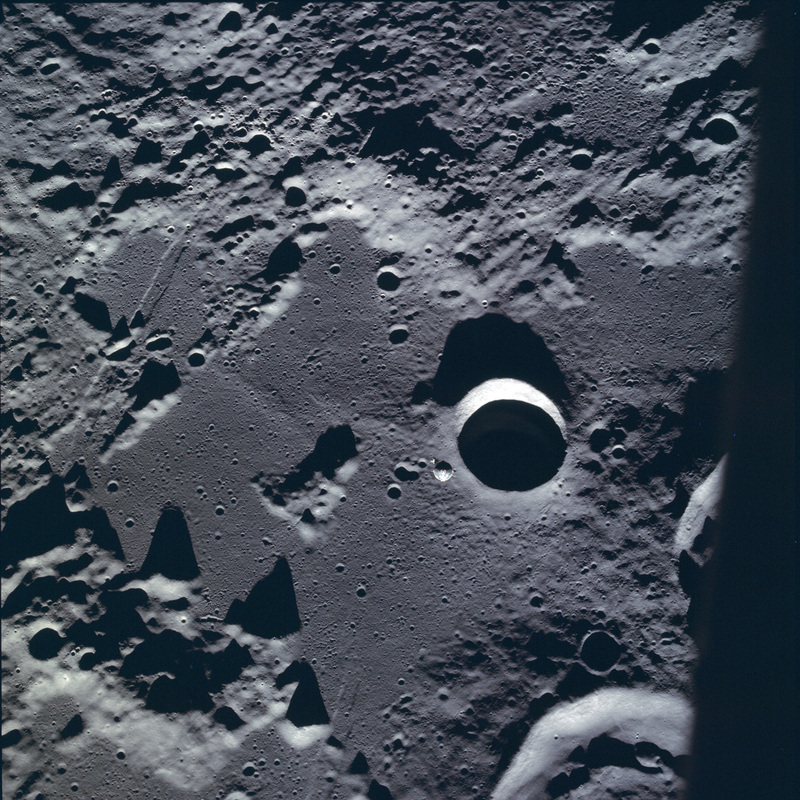 The object gave the appearance of hovering at a very high altitude but Harrison realized that an object would have to be moving at great speed in order to remain overhead as the Earth turned. Harrison was mystified as the object was generally stationary even as the stars rose and set behind it. He watched the object for three hours when it sharply headed east. Harrison made additional observations later that night and quickly ruled out the Borden’s Comet because the object simply wasn’t there any longer; a comet would have been. Henry was a member in good standing with the Toronto Astronomical Society and realized that he needed to report his findings with an established scientific authority. The next day he sent a telegram to the US Naval Observatory in Washington, DC. His telegram was discarded by the director Asaph Hall III. Upset with getting no response from an esteemed astronomical authority, Harrison wrote a letter to the the New York Tribune. The newspaper published the letter on “A Curious Phenomenon” 17 April 1879. His letter concerning his observations were also later published in the May 10th, 1879 edition of Scientific American (Vol. 40 Issue 19). He was swamped with letters from other astronomers and most certainly caught his share of denigration from his critics that said he probably saw Borden’s comet. Harrison knew that Borden’s comet would only move about a degree a day in the sky. Whereas, his object was moving at a rate of two minutes of Right Ascension per minute. Henry Harrison would ultimately get peer validation from two New York astronomers; Mr. J. Spencer Devote in Manhattanville and Mr. Henry M. Parkhurst. Was Corn, Wheat and Rice a Gift from Celestials? It is wise to recall that American Indians affirmed that maize or corn was a “gift of the Celestials”. Given up to itself, a corn field is dedicated to disappearance; the grains which are not eaten by the birds are rotted on the ear. There has never been found wild corn, not one plant which can pass for “the wild ancestor” of corn. The botanists, in thousand ways, tried to make a return of modern corn to a wild state. They manage to make it degenerate, but they never obtained a “wild” plant, i.e. able to perpetuate the species without the assistance of the farmer. Of course it is difficult to understand how the early farmers figured out how to cross breed the two different plants to create corn. It seems at the very least they were taught how to create corn. The first ears of corn were a few inches long and had only eight rows of kernels. Over the next several thousand years, the corn cob grew in length and size. Wheat is the product of a cross between three different grass species which is reputed to have happened about 10,000 B.C. originally from the Levant region of the Near East, but now cultivated worldwide. Wheat contributed to the emergence of the city-states of Babylonia and Assyria. In 2013, world production of wheat was 713 million tons, making it the third most-produced cereal after corn (1,016 million tons) and rice (745 million tons). It is interesting that rice is also considered as a “gift of the gods“. The question is who taught cavemen to be farmers and how to cross breed plants to create corn, rice and wheat? It’s possible the seeds to grow the corn, wheat, and rice were brought to earth. Rice is the seed of the grass species Oryza sativa (Asian rice) or Oryza glaberrima (African rice). The traditional method for cultivating rice is flooding the fields while, or after, setting the young seedlings. Rice is the most important crop in the world for 3.3 billion people living in Asia, providing 35-80% of their total calorie intake. Genetic evidence has shown that rice originates from a single domestication 8,200–13,500 years ago in the Pearl River valley region of China. Interestingly, Central China is also where hundreds of pyramids were built about 12,000 years ago by with tall red or blonde haired aliens with blue or green eyes. Their ancient bodies can be seen displayed even today in China. Some Celestials even claim to be our ancestors. So you have a choice to believe your ancestors were extraterrestrials or the explanation of biologists who claim you were developed from the primordial soup and grew up through various species to become apes and then humans. In Dr. Francis Crick’s book “The Amazing Hypothesis”, published in 1994, on page 5, wrote, “Until Charles Darwin and Alfred Wallace independently hit on the basic mechanism driving biological evolution–the process of natural selection–the “Argument from Design” appeared to be unanswerable. How could an organism as complex and well designed as man have arisen without the help of an all-wise Designer?” Crick reasoned that life could not have evolved from non-living chemicals under any conceivable earth conditions as claimed by evolution. He felt life did not originate on earth, and suggests a theory called panspermia that claims the seeds of life are all through the universe. This concept basically infers that life, DNA, virus, bacteria is bombarded from space aboard meteorites and comets. Crick proposed, in a book called “Life Itself,” that some form of primordial life was shipped to the earth millions of years ago in spaceships—by supposedly ‘more evolved’ (therefore advanced) alien beings. Then God said, “I give you every seed-bearing plant on the face of the whole earth and every tree that has fruit with seed in it…. We are told cavemen roamed the earth 10,000 years ago hunting and fishing, so who developed the concept of farming and interbreeding of two or three genetically different plants. Corn, wheat, and rice did not exist on our planet in a wild state; and numerous nations legends claim Celestials taught them the art to transform the primitive grasses into rice, wheat, and corn. Stanton Friedman, Timothy Good and I say Art Campbell has done an incredible job of researching the July 2, 1947 crash of a small, extraterrestrial craft in the Plains of St Augustin not far from the Roswell crash. In May of 2012 a group of 15 people found a great deal of important material. By far the most important was this I-beam. It is 2 inches across at the flanges and 13 1/4 inch long. Rather crude flanged holes at each end indicate it may have been a repair. Bottom skin, honeycomb, and I-beam might have been scraped off a craft on the first skip down. Below the I-beam is another piece of honeycomb. This one had some skin attached, believed to be just inside the interior. Some excitement occurred when a faint triangle, circle and other markings were found near the right end of beam. The beam has a metallurgical composition primarily aluminum with high silicon, manganese, copper, and iron. It is my guess that a grid of beams covered the entire bottom of the UFO (probably crisscrossing the bottom of the craft in 10-12″‘ squares) supporting the honeycomb sandwich. Our craft when it skipped down lost allot of its bottom and this beam was probably ripped out. The honey comb material has been found at two crash sites. Analysis of some of the metal. A possible alien sole of a shoe was also found. All of the samples were tested with a volt-ohmmeter, and were found to conduct electricity. Fifty-six (56) elements were detected in at least one sample. The aluminum contained alloys not available in aluminum in 1947. The coatings on all metals were blended with metal and rich in silica, titania, magnesia, sulfate, phosphate, and chloride, were almost certainly not available in 1947. The coatings are similar to those removed from people claiming alien contact. The samples still emit magnetic and electrical energy indicating these samples include nanotechnological smart metals and of probable alien origin. Analysis of some of the metal indicated it was not from Earth. Go to www.ufocrashbook.com for more details. CMS continues to amass sighting reports from around the globe. In April 2015 there were 709 sightings reported to MUFON through CMS from the following countries; United States 545, Canada 55, United Kingdom 31, India 7, Australia 6, Brazil 5, and Italy 4. California 66, Florida 49, Texas 36, Michigan 26, New York 25, Oregon 22, Ohio 21, and Arizona 20. Coronado – Bay Area — I saw this on the local news, the object seemed to stay stationary for more than two hours on April 29, 2015. It was very oddly shaped unlike any other shaped UFO I’ve seen. Edinberg — Objects manever in the sky on April 18, 2015. My son said that a few nights ago one of the visitors had shined a light on him and his girlfriend and then it disappeared. I still wish someone had the answer as to why the one visitor always follows me. Kansas City — A bright object with spinning bright multiple colors continues to be observed over the city. Since April of 2011 when sightings in the Blue Springs area began to be reported to MUFON Assistant State Director Margie Kay and NUFORC dozens of witnesses have reported seeing this apparently same strange object. Sometimes more than one appears in the sky, but normally it is one object which appears to be a disk or sphere shape with multi-colored lights spinning in a clockwise direction. The lights are “neon” bright and appear as red, green, white, and blue. The latest sighting was observed on May 3. At least 10 witnesses in Gladstone looking south towards Kansas City and then west towards Kansas observed the object which hovered in the sky for at least 20 minutes, then moved slowly southwest behind trees. Helena — I was on vacation in June 2014 and took some photos with my iPhone at Spring Meadow Lake State Park. Bound Brook — I was on Route 287 on my way to work on May 3, 2015, when I witnessed the UFO. I noticed it because it was HUGE and didn’t look like a plane. At first I thought it was an airplane, but it was much bigger and more oval like. It was hovering in the sky and I took a picture on my cell phone. I looked down too see the picture, looked back up and it was gone. Burlington — On April 14, 2015 around 8 PM, my girl friend was returning from work. She noticed a low flying triangular shaped craft with red lights moving slowly in a straight path. She returned home, and after about 20 minutes we left and noticed it in a clearing in front of a residential neighborhood. It was lightly raining, and I did not stop and take a picture although I now regret it. Hickory — Four digital photos were taken 30 minutes after sunset on May 5, 2015, with no wind or aircraft observed in the area. This was not a bird etc, the object was able to cover about a mile in less than two seconds. The long slender body was not rigid and appeared to be semi-transparent with a rotating corkscrew power field. Its moves were deliberate and did not appear to be random. Hickory – This photo was taken with a digital camera on November 13, 2013, and was not visible to the eye. The object appears to be oval with a dark center, and appears to be hovering above the high tension power lines. There were 20 photos taken and this is the only one with a subject in it. Kettering — My son was driving south on Smithville Road when he noticed some strange lights on the east side of the road on May 1, 2015. He slowed down and videotaped the orange orb-like lights with his I-phone. State College — While driving in Rothrock State Forest on May 2, 2015, I stopped at an mountain overlook on Greenville Road to observe the scenery. I took three photos in succession with my iPhone 6 at 1:30 PM. Upon looking at photos the next day I saw a large blurry object in one photo. I do not recall seeing any birds while at site. Dallas — -I was walking my dog when I saw a bright star on April 30, 2015. As I watched it, it began getting brighter and two orbs split off from in a sliding motion. The brightest of the three started to slowly move and I decided to follow it as it flew passt two buildings and a street. I felt curious as I followed it and decided to get a picture of it. I took three pictures but only one of them turned out well enough to see. Spanish Fork – On April 30, 2015, I was out taking pictures of Utah County lights at night. I did not notice the object in the picture until the next day. I had taken about five pictures right after the other and the anomaly only appeared in one of the photos. Crabtree, QC – I was taking a picture of cloud cover and this thing appeared on the picture on July 13, 2010. Chilliwack — On May 2, 2015, I was checking my photos and found an UFO. Natabuela — The most recent photo was taken May 1, 2015, at 5:30 PM, which is seen as a ball of energy. The other which was triangular was taken April 26, 2015, around 5 PM. I think the ships are directed to the San Pablo Lake, and the Mojanda Lagoons that are to the south of the site. Budapest — In the early afternoon on April 25, 2015, I was walking in the forest, when I noticed this unknown creature on the road. A bright sphere floated in front of him. I took out my mobile phone, and I did a photograph. Merida Yucatan — Cases involving commercial airliners and seeing UFOs in flight are not few. In Yucatan there are at least three such reports: In one of these, a pilot was unable to publicly remark on the event due to his company’s policy which forbids employees to discuss UFOs The pilot remarked that , he was about to land at Merida airport of the Yucatan’s capital city when he saw a UFO. “I could see it physically beside the airplane, a sort of flying saucer, I couldn’t believe it, but radar couldn’t pick it up. It 300 meters distant, and had a radius of 10 meters at least,” he explained. The technology they have must be impressive to have been so near me, yet undetectable by the airplane’s or the control tower’s radar. When it took off, it did so at light speed and upward. Pampangga – I saw four or five bright lights! They were changing with the lights and shaped like a triangle on April 26. 2015. Just see in picture after holiday on May 10, 2013. Toton, Nottingham — Here is another daytime UFO I documented on 13th September 2014. This object changed shape before my eyes as you can see on the photographs. It flew the exact same path as the first daytime UFO pictures. It flew very slowly and with zero sound. It was as if it could have stopped at any point and it sped up as it left my sight over the house. Regards Sacha. Karlina: 11/14/14; I have had headaches for a long time from multiple injuries from car accidents. I have not had a headache since I started IsaGenesis three weeks ago” I have also been going to a massage therapist & chiropractor which may be helping as well. Cathy: 11/6-11/24: Hi Megan, I feel great! My energy is amazing and I am sleeping like a rock! I started a new medication at the same time for vertigo, but I have never felt this good on an SNRI before. I’ve been able to do more and last longer which is thrilling to me. We just spent 3 days camping and on horseback and I am in great shape this morning. I will stay in touch. 2) Video Links: drscience.info. It’s further confirmation that repairing the Telomere gene is the key to reducing the impact of aging and diseases of all types. To order at wholesale prices please call Donna at 207-409-2665 or [email protected] for ordering at wholesale prices.